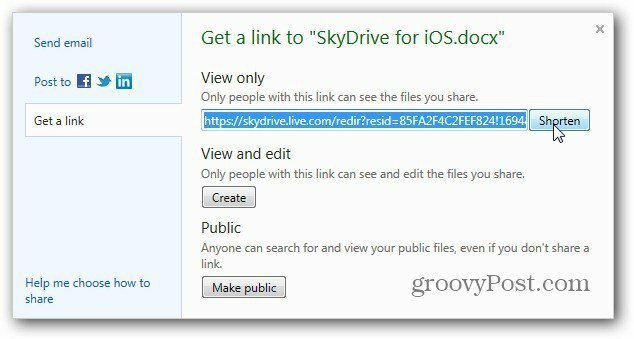 Recently on the Inside SkyDrive, Hotmail and Messenger blog, Omar Shahine revealed that SkyDrive now incorporates a URL shortening service for sharing files. This is much nicer for sharing files than a long ugly URL. Here’s a look at the service that’s available now. 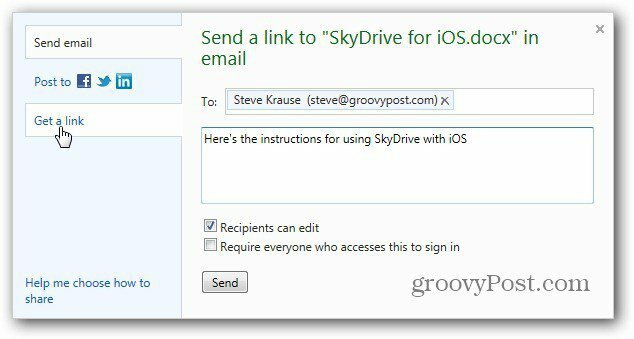 Recently on the Inside SkyDrive, Hotmail and Messenger blog, Omar Shahine revealed that SkyDrive will now incorporate a URL shortening service for sharing files. This is much nicer for sharing files than a long ugly URL. 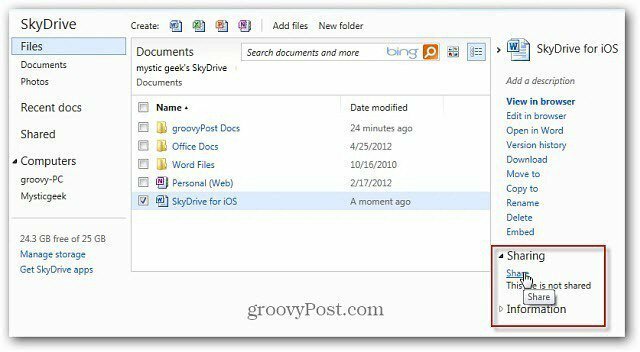 Here’s a look at the service that’s now available for SkyDrive users. 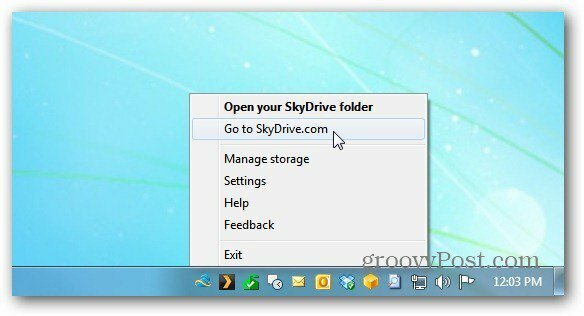 If you’ve installed the SkyDrive app for Windows, Mac and Mobile…right click the SkyDrive icon in the Notification Area on the Taskbar. 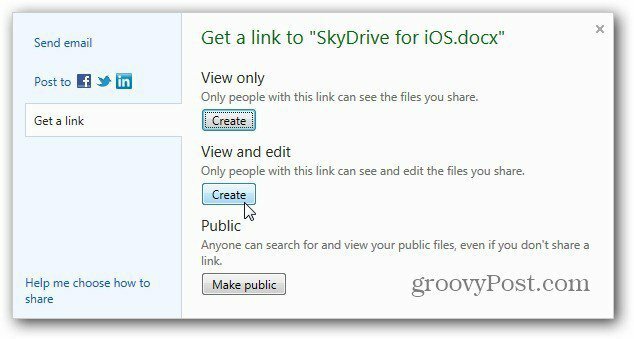 Click Go to SkyDrive.com. 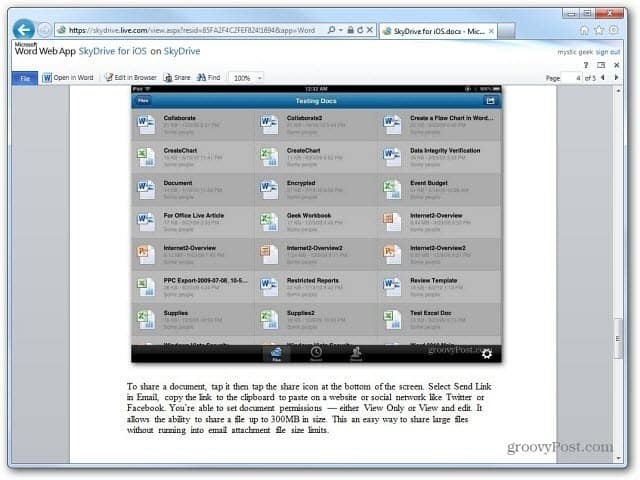 Navigate to the document you want to share in your SkyDrive and check it. Then expand Sharing on the right and click the Share link. Here you can email the link to the document to a contact. If you want to share the link with others on a site or social network, click Get a Link. Now select if you want the link to provide the document as View Only, View and Edit or make it Public. A long ugly link is generated to point to the document. Instead of publishing or sending the long link, click the Shorten button. With the power of Bitly behind it (Microsoft has started a new partnership with Bitly), the link is shortened to an easier to manage shortened URL. Copy the link and post or send it to where you need it. 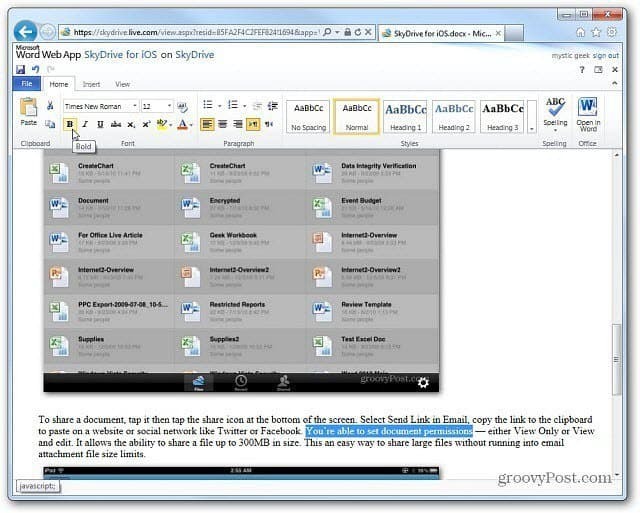 When the recipient of the link clicks on it, their default browser opens to the document in Office Web Apps. They will have the rights to the document that you selected when creating the link. Either Read Only or Read and Edit. This lets them read and / or work with the document even if they don’t have MS Office installed on their system. 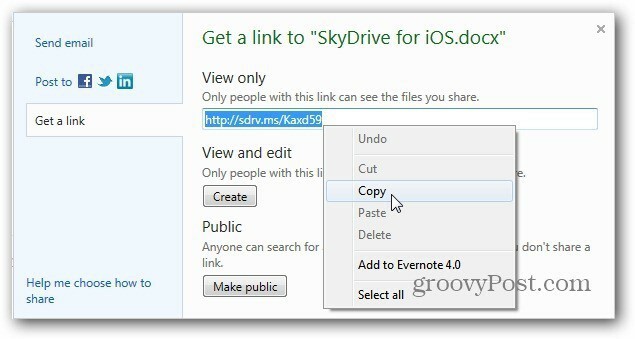 It’s great to see SkyDrive continue to evolve and incorporate new features. Next I would like to see the ability to do this directly from your desktop.